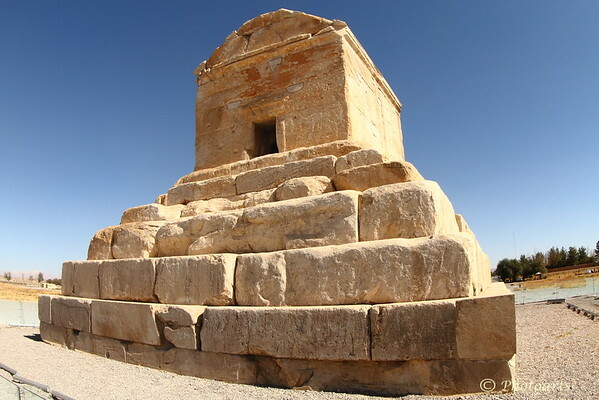 Tomb of Cyrus the great in Pasargadae, near Shiraz Iran. Liberator of jews from Babylon, King of Persians, Admired by Alexander the great, Creator of the first charter of human rights …. and now his tomb faces neglect and disregard after over 2500 years! So who is your king?!! Nice comp of this tomb. Good image of this interesting old structure; too bad about the neglect!